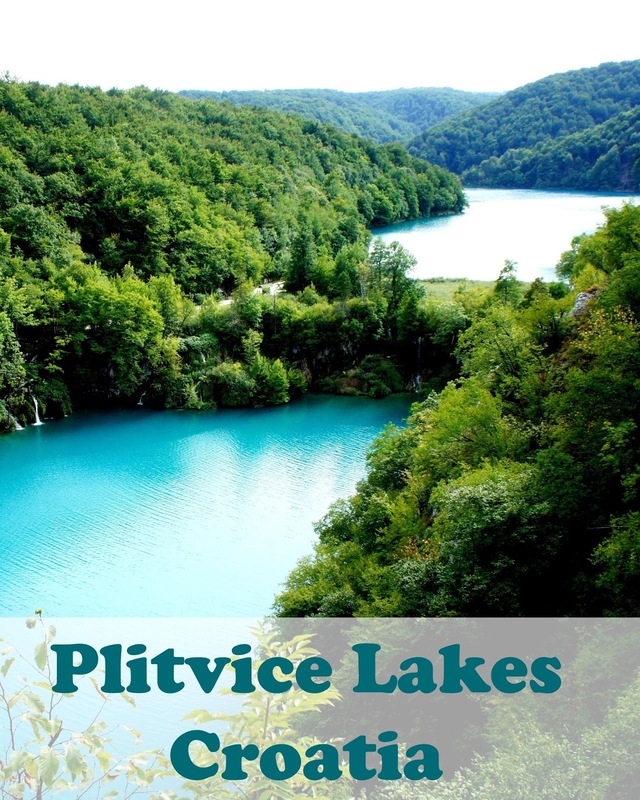 Plitvice Lakes National Park is one of the most beautiful natural wonders we have visited while traveling in Europe. It is hard to believe this was where Croatia’s involvement in the war with Yugoslavia began, with the first casualty being a park policeman. Some visit Plitvice Lakes for just a few hours, but we chose to spend two nights within the park so we could have a full day to explore the lakes. Plitvice Lakes National Park is a UNESCO World Heritage site and consists of 16 interlinked lakes separated by numerous waterfalls and surrounded by a forest. The lakes are the clearest you will ever experience in beautiful shades of deep blue and green. The striking colors are caused by the minerals in the water. Plitvice Lakes National Park contains about eight kilometers of walking trails and wooden paths, and even more hiking trails off some of those paths. 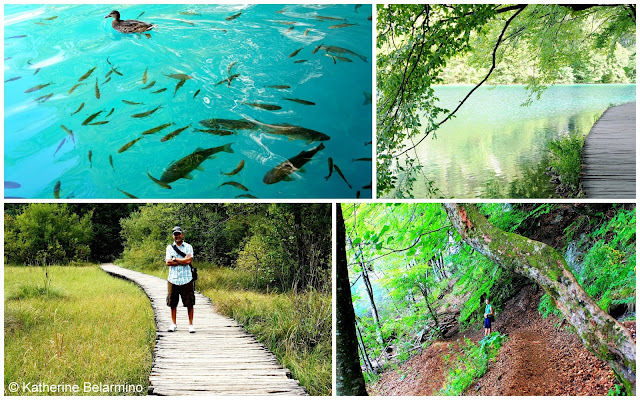 Some of the paths and trails of Plitivice Lakes National Park (and ducks and fish in the clear blue water). The park can get very crowded, so it is best to start your visit to Plitvice Lakes as early as possible. However, most of the crowds stay close to the entrances and main waterfalls, so even at the busiest of times, if you venture away from the popular spots and explore the farther paths, there will be times you feel like you have the entire park all to yourself. 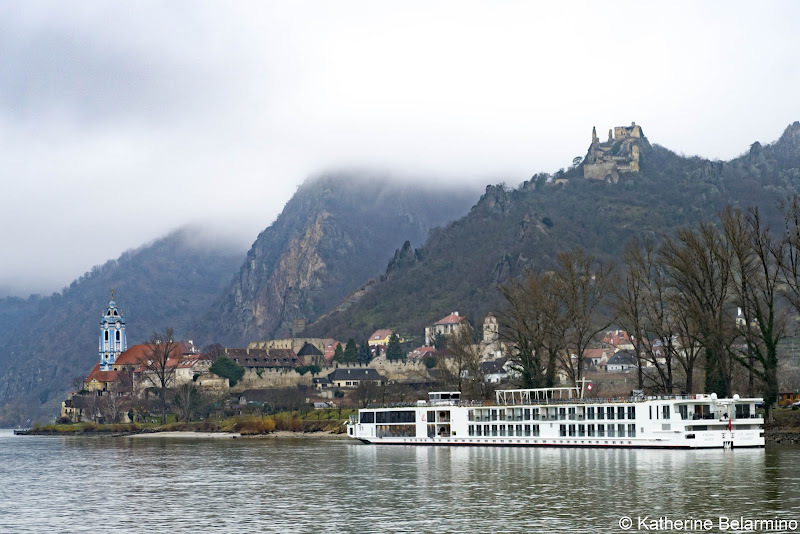 For those who do not want to or cannot hike, there are trams and boats that will take visitors quickly and easily to certain points in the park. For those who are up for the hike, all of the lakes of the park can be visited by following the various trails. We started at Entrance 2, just down the hill from our hotel, first hiked to the upper lakes, and then continued along the opposite side of the lakes to the lower lakes. It was a long day, but worth every step. There are four hotels within Plitvice Lakes National Park. 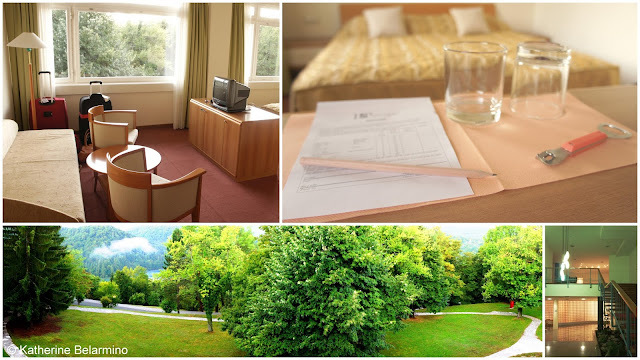 We chose Hotel Plitvice. The hotel is large, with 51 rooms, and was renovated in 1997 (during the war the hotels in the area were used as barracks). When I first walked into our room, I was disappointed at the décor, especially after our beautiful room in Dubrovnik, but I quickly grew to love the retro feel. Our room was huge with a beautiful view of the park and even a glimpse of the lakes through the trees. Hotel Plitvice, our room, and our view. If you plan on visiting Plitvice Lakes for the entire day, eat a big breakfast and grab a few snacks to bring with you. There are three areas that sell food within the park, but the best place to eat lunch, albeit a late lunch if you follow the path we took, is in the lower lakes area at the north end of Jezero Kozjak by one of the ferry stops. They have huge amounts of barbequed meats including chicken and sausages being cooked on outdoor grills, perfect for a long day of hiking, and a multitude of picnic tables. While Hotel Plitvice did have a restaurant, we chose to only eat there for breakfast. 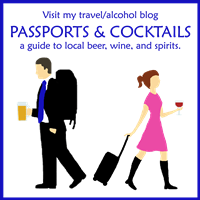 There are some delicious, hearty, inexpensive restaurants in the area worth a visit. Croatian roasted pig and dinner at Bistro Marina and Restoran Degenija. Our favorite restaurant in the area was Bistro Marina in Korenica, a 20 minute drive south of our hotel. If you like pork, you are going to love the northern area of Croatia. There are a number of small restaurants along the road that use a whole pig roasting on a spit to entice you into their restaurants. Bistro Marina is one of these places. On our way to Plitvice Lakes we drove by Bistro Marina. I noticed the quaint restaurant with flowers growing in the boxes in the windows and along the porch railing. Rome noticed the slowly revolving pig with noticeably crispy skin. Bistro Marina is a very casual and inexpensive restaurant with simple but delicious food. Another basic but good restaurant in the area is Restoran Degenija in Rakovica, just north of the lakes. Restaurants in this area are not fancy, so don’t expect a lot. Much of the food is fried. I had the chicken cordon bleu and Rome had the wiener schnitzel. 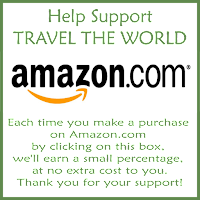 Many of the patrons are RV travelers from other European countries. When traveling to Croatia, be sure to include Plitvice Lakes National Park in your itinerary. It truly is one of the world's most beautiful natural wonders.